With the onset of summer, kids are likely to spend more time in and around swimming pools and other water bodies. In such instances, it is important for a father to recognize the importance of water safety for his kids. 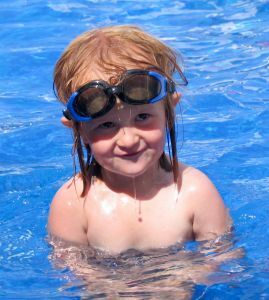 According to the Centers for Disease Control and Prevention (CDC), in 2005 there were 3,582 fatal unintentional drownings in the Unites States alone. Also, more than one in four fatal drowning victims were children under the age of 14. The CDC also reported that in the same year, at least 30 percent of child fatalities between 1-4 years were due to drowning. Even though drowning rates have decreased, the CDC reports that fatal drowning continues to remain the second-leading cause of injury-related deaths for kids between 1-14 years. Many experts believe that the best way to ensure water safety is by installing fences around swimming pools and making sure that children are supervised by adults when they are around water. There continues to be a debate on the effectiveness of swimming lessons for kids below the age of 4 in order to prevent them from drowning. Swimming lessons are not recommended for kids below 4 years by the American Academy of Pediatrics. Below this age, they say that child development is not sufficient for the lessons to be effective. However, in the Archives of Pediatrics and Adolescent Medicine, a study published in March found that swim lessons for kids aged 1-4 could reduce their chances of drowning by more than 85 percent. Experts say that the best parenting advice for fathers is to teach their children to always swim under adult supervision and how to swim to the side of the pool if they do fall in.